It'll be a long time in the air - but Emirates says its new Auckland - Dubai non-stop flight will use new technology and variable routes to make the trip as quick as possible. Emirates Airline's ultra-long flight from Auckland to Dubai will use smart planning and technology to shave as much time as possible off the 14,000km flight. While the service will be one of the longest air routes in the world by distance, Emirates will be using flexible routes, which can vary by day, taking advantage of tail winds and avoiding head winds to reduce the time in the air. The technology, combined with the elimination of an en-route stop in Australia, could shorten the time to Auckland by up to three hours. 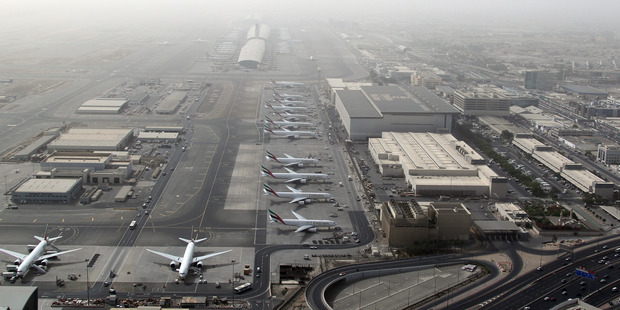 It will also result in increased fuel economies - an environmental focus for Emirates. The airline starts its first non-stop service from Dubai to Auckland on March 1, with the longer duration return leg departing the next day. The new non-stop service will be operated by a Boeing 777-200LR and should typically take just under 16 hours from Dubai to New Zealand and 17 hours, 15 minutes in the other direction. "Emirates continues to invest in innovative technologies, and we utilise best practices in optimising our flight planning systems, finding the best routes that take into consideration weather and current conditions to ensure we save time, fuel and emissions, while never compromising on the safety and comfort of our passengers and crew," said Geoff Hounsell, Emirates' vice president flight operations support services and air traffic management. The non-stop flight will have a complement of 13 cabin crew and four pilots, allowing for rest periods. 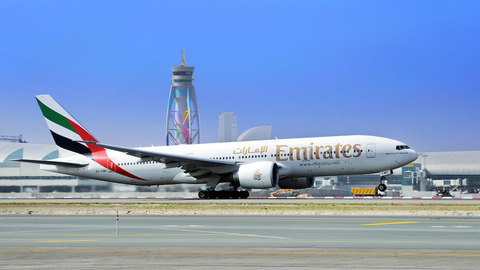 Emirates has eyed the non-stop flight to New Zealand for about two years. Two hours prior to flight departure, the most optimal route is chosen, but can still be updated during the flight. At all times there is a contingency flight plan, so if an unexpected event arises during the flight, there is an alternative routing available. New flexible route options have been a focus for the airline and Airservices Australia and Airways New Zealand have been key partners. The majority of the Boeing 777-200LR flight will be in Australian-managed airspace, where Emirates has worked with Airservices Australia for the past decade to optimise routes, utilising the technology which will be applied on the direct Auckland route. "The organised track system - AUSOTS - is well-proven and extending that programme so that it is specific to the Auckland-Dubai route will have significant benefits, without impacting the operations of other aircraft going to Australia," said Geoff Hounsell. Airservices Australia controls 11 per cent of the world's airspace. "A number of our air traffic control and environmental specialists have worked with Emirates' flight planning team to help find them the most optimal east and west-bound routes which will link the flight into our existing Flex Tracks and user preferred route (UPR) zones." said executive general manager, air traffic control, Greg Hood. Emirates' Boeing 777-200LR can fly up to a range of 15,555km with full passenger load of 266 - eight in First Class, 42 in Business Class, and 216 in Economy Class. Airways New Zealand will guide the Boeing 777-200LR through the first and last hours of these ultra-long range flights. Chief operating officer Pauline Lamb said Airways would offer new fuel-efficient arrival routes into Auckland and a high degree of flexibility using very efficient 'user-preferred routing', including the ability to review and change flight paths during the flight. Airways manages more than 1.2 million air traffic movements per year within 30 million square kilometres of airspace across New Zealand, the Pacific Ocean and Tasman Sea. Emirates is the world's biggest long haul airline and has a fleet of 249 aircraft, including 74 double-decker Airbus A380s and 155 Boeing 777s, among them 10 Boeing 777-200LRs.